Fire Ant Control | Bug Depot Termite & Pest Control | Serving Columbia, Irmo, Chapin and beyond. If you’ve ever had the misfortune of running across a colony of fire ants, you already know they can be vicious! Known for their venomous stings. Fire ants are known for because there venom is similar to that of a burning sensation. General pest control should keep fire ants out of your home. Fire Ant control usually is performed in the yard and surrounding areas. At Bug Depot Termite and Pest Control we have extensive experience in fire ant control. Depending on your specific situation we can use a variety of different methods; baiting, pesticides or a combination of both. If your plan is not to deal with fire ants yourself, you need a professional with professional methods. 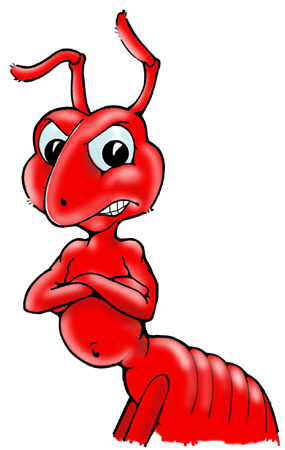 Count on Bug Depot Termite & Pest Control to rid your yard of fire ants. Your Bug or Pest problem won't fix itself! Give us a call at 803-781-3220 for the fastest response or fill in this short contact form. Exterminating and Pest Control, Pest Management, Termite Damage Repair, Termites, Rodents, Rodent Proofing, Fleas, Flies, Mosquitoes, Roaches, Ants, Fire Ants, Bugs, Silverfish, Clover Mites, Insects, Earwigs, Rats, Mice, Ticks, Millipedes, Centipedes, Crickets, Spiders, Water Bugs, Beetles & any other Pests!